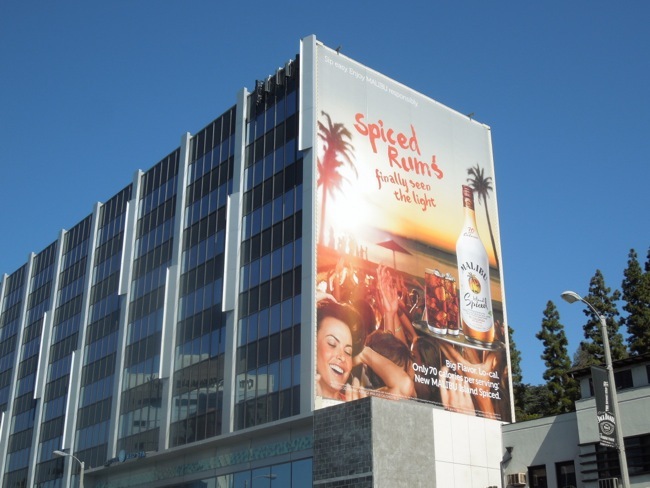 There's nothing like Malibu rum to evoke that totally tropical feel of Summer and now there's even more reason to enjoy the spirit, as now the spirit brand has the same great flavour but with lower calories per serving. 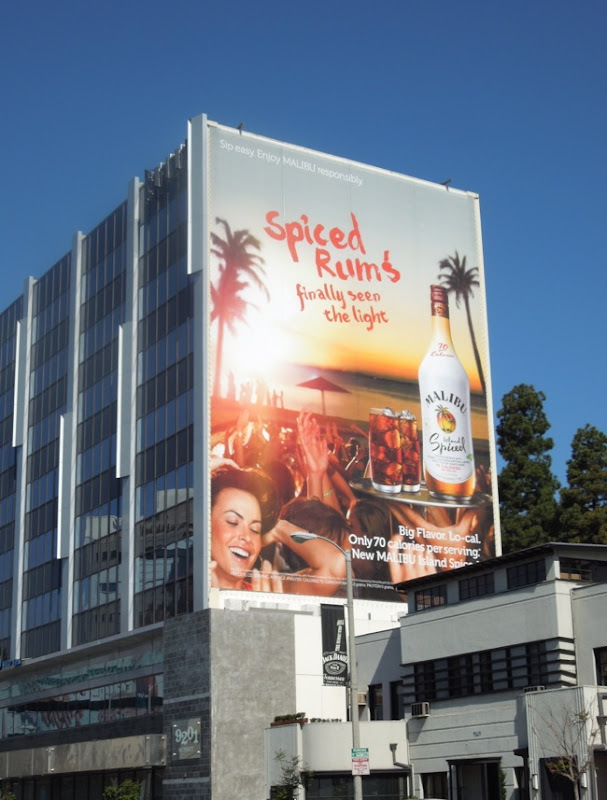 No wonder they are all smiling and dancing about in this fun beach party billboard which was snapped along L.A.'s Sunset Boulevard on May 2, 2013. 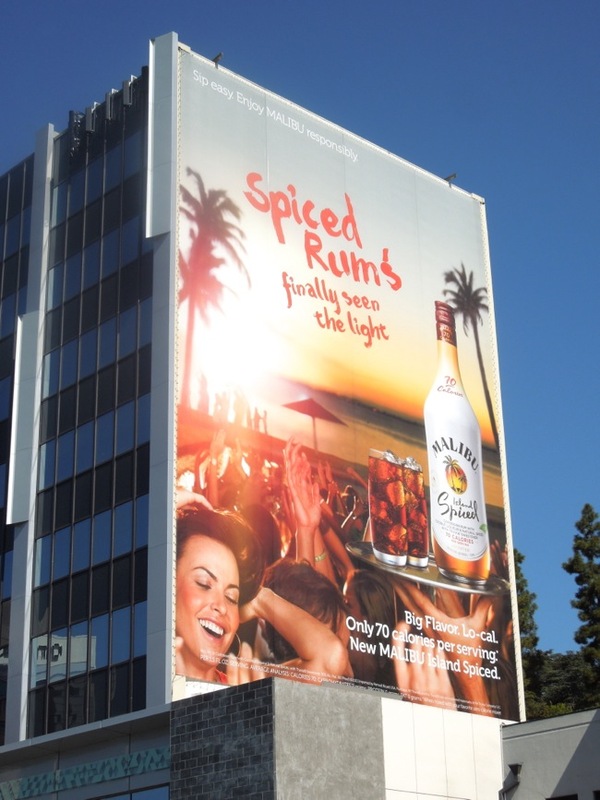 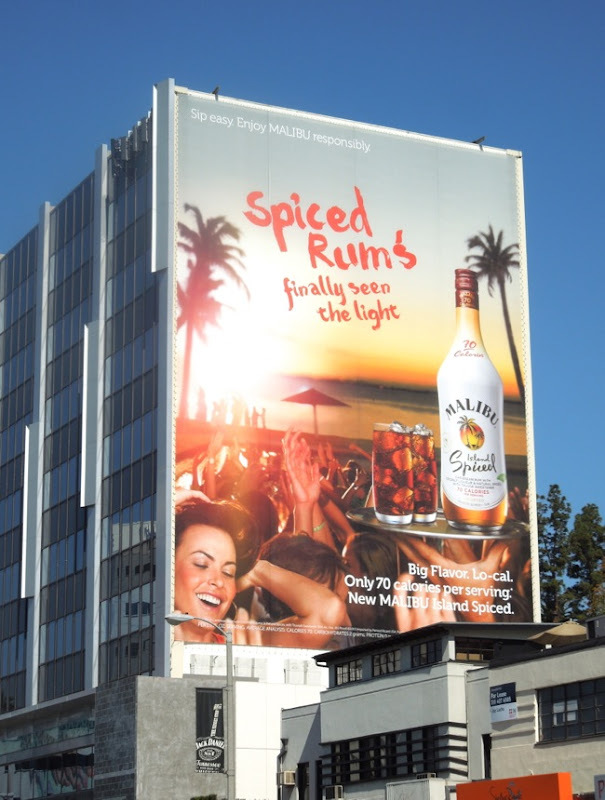 If rum is your tipple of choice, be sure to also check out these cool Bacardi billboards.